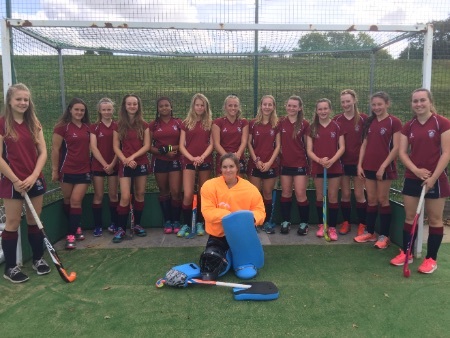 After drawing against Plymouth College and then watching Plymouth beat Shebbear College 5-0 the girls were ready to assert themselves and to attempt to be overall winners of the triangular tournament. Having set themselves a six goal challenge they started positively and strongly in their second and final game of the day. Playing thirds instead of quarters it took the first eight minutes for the girls to settle, find their feet and play the hockey that they and I knew they were capable of. Passing the ball, using the width and positioning at the posts made for a more productive second eight where both Ayla and Millie Y made their way onto the score sheet. On a roll and determined to pull further ahead the majority of the play in the final eight minutes was in the Shebbear defending half. A goal from Nancy and two from Millie D secured the win and the girls were delighted with their first win of the session. The man of the match as voted for by the opposing team was Milie Danielson!